The IMLS is an initiative led by brokers in the real estate industry with the goal of bringing together agents, brokers, developers, associations, MLS's, buyers, and sellers. The IMLS mission is to harness the power of the industry and put it BACK into the hands of brokers and agents while protecting the MLS's and displaying accurate data. The IMLS offers agents the ability to purchase web products such as framed International pages with Google translate, so ALL listings can be viewed in 100+ languages and is a lead capture tool for agents to make global referrals. The IMLS International New Homes Developer/Agent platform will provide agents with their own web delivery for consumers searching for new homes, whether locally or worldwide, as developers advertise their developments. For agents without a website, The IMLS has partnered with a real estate technology company to provide local websites with two IMLS coded lead capture deliveries already integrated [framed page and new homes gateway]. PR: The IMLS--Bringing The World Together! The International MLS [IMLS]® and FIABCI Agree to a New Global Partnership. We are diverse, but we all have one thing in common: we are exceptional problem solvers. We bring intellectual curiosity and a passion for world-shaping impact to each of our roles. Originally from Long Beach NY, Dan was young when his parents passed away, living in 17 places in 9 years while putting himself through college and graduate school with the help of academic scholarships. President of his High School Honor Society, Dan finished college when he was 20 before attending the prestigious University of Pennsylvania School of Dental Medicine, and then going on to be a practicing dentist in Philadelphia for 22 years. Dan moved to California and began a second career as a licensed investment adviser in 1999 and started managing large individual portfolios. As he always had an interest in real estate, Dan decided to also become a licensed California real estate broker in 2005 and created successful local agencies in Los Angeles before becoming fascinated with the idea of creating The International MLS [IMLS]® as an affordable way to bring together agents, brokers, developers, associations, buyers, sellers, and property listings all together into one global marketplace to serve the global real estate industry. Whether it has been as a doctor, a licensed investment advisor or as a real estate broker, Dan has always been a leader who is held to the highest ethical standards as well as being held to the highest positions of trust. It has been his pledge to bring that to The IMLS, and this trust has been demonstrated along the way by people who have known Dan from childhood to now, backing Dan's vision financially in this global initiative starting back in 2010, as well as by major brokers and real estate executives who are now participating in The IMLS. Dan created The IMLS as a World Class global portal and complete Agent/Broker platform, protecting agents and brokers with the goal of putting the power of the real estate industry back into the hands of the agents and brokers. As a result, there will be no advertising of other competing agents on a personal agent member's listing page, that if it is your listing it is your lead, and that there are no For Sale By Owner listings on The IMLS, along with everything posted on The IMLS 10 Point Pledge. 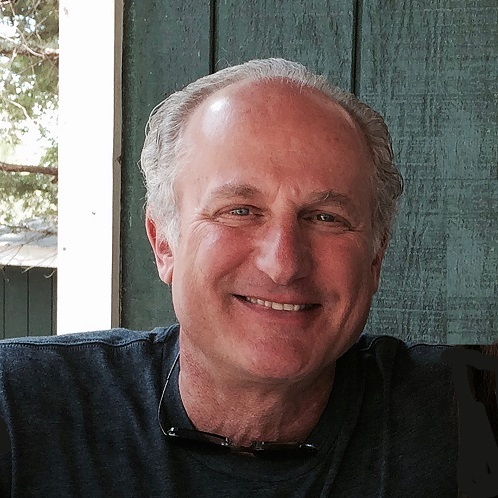 Dan relocated with The IMLS from Los Angeles to Boca Raton, Florida July 2015. When not working on The IMLS, Dan maintains an active social life in the Miami-Palm Beach area as well as working out, skiing, playing tennis or golf, and seeing his 2 grown children in Los Angeles as often as possible. 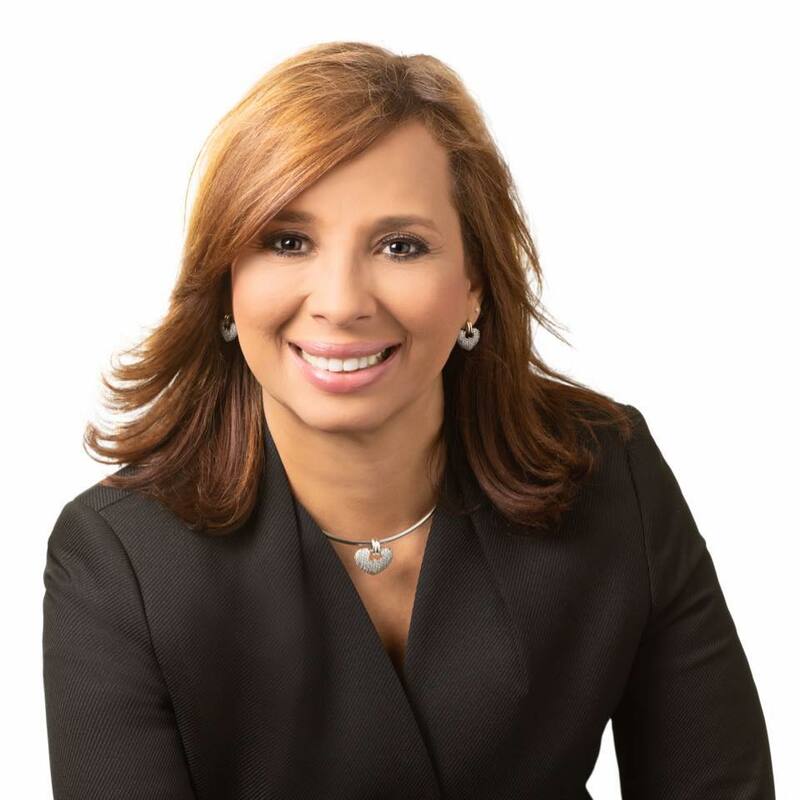 Born and raised in Santo Domingo, Dominican Republic, Larissa was a Semi Professional Tennis player, and received her Bachelor degree in Marketing from the Dominican Republic University Catholic of Santo Domingo. 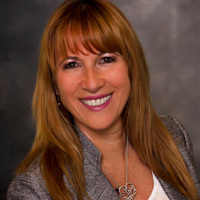 In 2002, Larissa moved to Florida, and since 2004 has been a Realtor®, a CIPS,TRC, CNS, AHWD,RSPS, 1031 Exchange Specialist, and a Previews International Specialist, She is also the Broker of Record for Global Properties Realty & Investments, LLC headquartered in Ocala, having satellite offices with strong relationships in more than 95 countries and focuses on listings worldwide and the global exposure of their local properties. 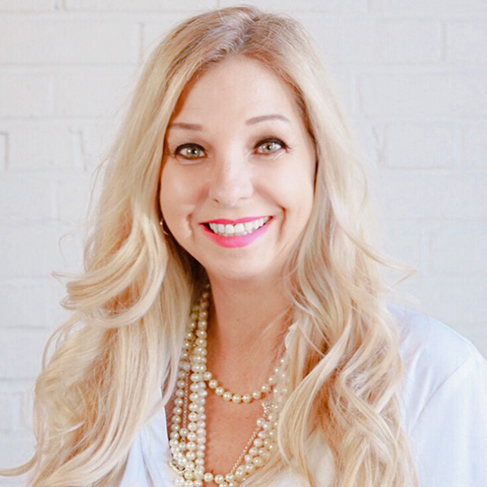 In her first year as a Realtor®, she got involved in numerous committees and has been Involved at different levels for more than 10 years with Real Estate Associations and their members at Local, State, National and Global arena. Her involvement with the USA NAR includes being a member of the CIPS Advisory Board since 2008 and she is the Vice Chair CIPS Advisory Board for 2017. She is also the President’s Liaison for The Dominican Republic, 2015, 2016, 2017, and a member of the Global & Alliances & Committee since 2007. Larissa has vast global real estate experience and involvement as a Founder of CILA and Advisor from 2014-2016 and is on their Board Of Directors for 2017. CILA [Confederacion Inmobiliara de Latino America] contains all or most of the associations in South and Central America, and the Caribbean. Florida Association of Realtors® FR: Global Business Committee 2006 / 2017, Member of Commercial Alliance Committee, 2007 to 2015, YPN Advisory Committee, 2015 / 2017, YPN District 7 Key Contact, 2016 / 2017, Mobilization Issues Committee (RPAC), 2016 /2017 . MIPIM Presidential Advisory Group (PAG) 2017, Resort and Second Home Specialist Committee, 2014 /2017, Technology Committee, 2006/2010, Legislative Think Tank 2017, Major Investors Recognition Subcommittee (RPAC), 2017 Florida Realtor Party (RPAC) Coordinating Committee/ 2017. 2017 Board Of Directors, MLS Director, 2013-2015, Chairman, Heart of Florida Global Council, 2009, 2013, 2016, Vice Chair Global Council, 2017, RPAC Chair, OMCAR 2016, Community Awareness Committee, YPN 2014 / 2017, Grievance Committee, 2016/ 2017 Commercial Committee, 2006/2017, Farm Committee 2008/2017. When not devoting herself to her real estate career in Ocala Florida or Dominican Republic, she is married and the mother of 2 girls and a proud grandmother of a 2 year old princess . Her friends say that she is a great cook, party maker, excellent friend, hard worker loyal, always smiling and known for her strong code of ethics. George has been a successful sales executive, sales director and managing director during his over 30-year career in various business fields, both in business-to-business and business-to-consumer industries. George was born and educated in Hamburg, Germany in 1966, and he moved to the UK in 1995. Since 1999, George is the Global Sales Director for and partner of the Worldwide Property Show, held over 200 times in 13 countries, including the Middle East, Asia, USA, Russia, Europe and South Africa. In that position, George has forged many hundreds of direct, personal and friendly contacts with business leaders and top executives in the global property field. 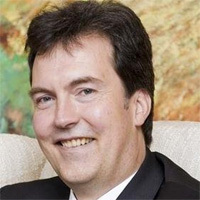 His experience has allowed him to gain in-depth insight into the drivers that shape the property markets internationally, and has earned him a reputation of a respected expert who can help real estate companies to enter new markets. He is also owner of Fortune International Real Estate Investments, and his exhibition company was a founder member of the Association of International Property Professionals (AIPP) in the United Kingdom. Since January 2014, George is the FIABCI UK President, and is now also the FIBCI Global President of the Marketing and Networking Committee. With members in 65 countries, including 100 Professional Associations, 65 Academic Institutions and 3000 individual members from all professions of the real estate sector, FIABCI is the most representative organization of the real estate industry in the world and holds special consultative status with the Economic and Social Council (ECOSOC) of the United Nations. FIABCI Members represent all real estate disciplines including Brokerage, Property Management, Valuation/Appraisal, Investment, Development, Consulting, Legal, Architecture, Planning and Insurance. Denise blends social media savvy with marketing and communication expertise. Having worked with and for some of the most iconic marketing gurus of the 20th century – from Sergio Zyman to Joey Reiman – Denise is able to leverage a passion for design with a cutting-edge approach to delivery. Over the past 15 years, Denise has assisted clients in a variety of industries, typically addressing issues of executive and marketing communications, brand management, channel and customer marketing. Denise has extensive hands-on experience managing brands and is uncompromisingly dedicated to making strategy, creativity, and technology work together to produce results for her clients. Multi-lingual and multi-faceted, Denise leads a global team of artists, designers, technologists, writers, and consultants to produce a well-balanced and distinctive alternative to traditional agencies. She is focused on creating deliverables for B2B and B2C organizations, executing online and offline marketing strategies, including web, social media, C-suite communications, brand identity, collateral, and illustration. In all her projects, she measures success in terms of usability, design, and effectiveness. Before founding BrilliantBox, Denise worked at Zyman Group, CompuCredit, and John Paul Mitchell Systems in a progression of management roles in marketing and creative services. 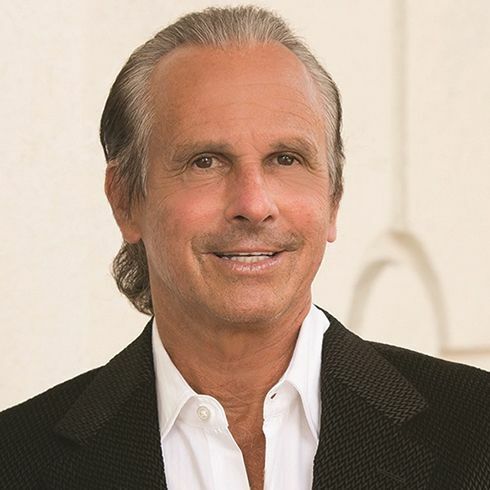 Originally from Lido Beach, New York, Bruce serves as the Vice President of business development at the International Multiple Listing Service (IMLS)® and has been a member of The IMLS team since its inception. He has represented the company internationally in multiple Latin American countries and has participated in the National Association of Realtors Expos in several cities around the country, working closely with the CEO and Founder of The IMLS, Dr. Daniel Nussbaum. Bruce and Dan have been close friends since kindergarten, over 60 years. Having each other’s back is something that makes them unique and dedicated. They consult each other on a continuous basis spending countless hours discussing and developing business models and business relationships that will benefit the future of the IMLS. Educated at the American College of Switzerland and the University of Connecticut, Bruce earned a Bachelor of Science degree in international business studies. Bruce became the Vice President of the National Bolt & Nut Co. Inc, in New York, where he managed the accounts of leading international manufacturers and managed a sales staff that supplied inventory to commercial and high rise construction, as well as a broad spectrum of industry needs.He was also the Vice President of the Myrtle Avenue Realty Company in Brooklyn, New York, where he managed the sale and rental of commercial property. 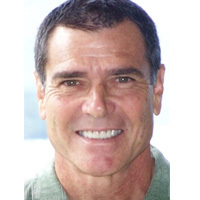 After 15 years in New York, Bruce decided on a second career in natural healthcare in Atlanta, Georgia, earning his Doctor of Chiropractic (D.C.) with a second doctorate as a Certified Chiropractic Sports Physician (CCSP) and practiced in Buckhead, GA for 25 years. He is an active member of the community, having been a past board member of the Buckhead Business Association (member 25 years), president of Georgia Chiropractic Association (member 20 years), Fulton County, fundraiser for Juvenile Diabetes Research Foundation (member 20 years) and Buckhead Rotary (member 15 years). Bruce has been married for 38 years and has two grown children. He maintains a very active life participating in running, golf, biking, skiing, and numerous other sports. Terry grew up in the Los Angeles area and began working for the nation’s largest gas utility, Southern California Gas Company in 1972. He retired in 2007 and joined The IMLS in January 2012. Terry brings his exceptional management and organizational skills from his previous employer, where he had a successful career for over 34 years. During this time Terry has held various positions in Project Management, Consumer Services, and Human Resources. 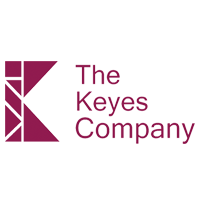 He has a relentless focus and commitment to exceeding all client expectations. This experience makes him an invaluable asset to The IMLS in his role as Vice-President of Operations. Since joining The IMLS Terry provides support to the CEO in setting overall strategy as new products are developed. He also oversees the relationship strategy for all accounts to insure the client experience will be a model for retaining and acquiring current and new customers. 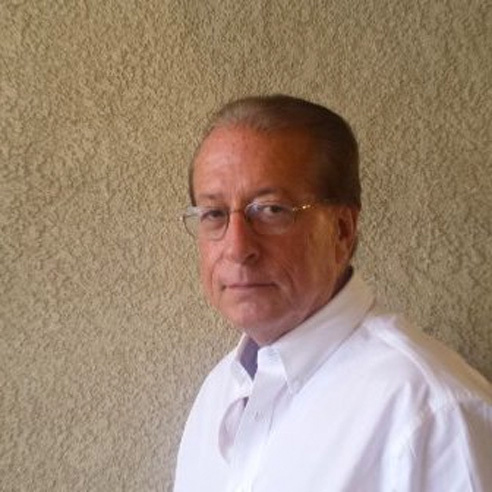 Terry currently resides in the Los Angeles area and when not working at The IMLS he enjoys playing golf and spending time with his three sons and two granddaughters. See and hear what leaders in the global real estate industry are saying about The IMLS! 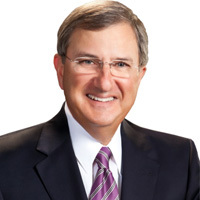 President FIABCI UK, Director Global Business Development At Fine & Country Ltd.
"We are pleased to be able to give all our associates and clients these competitive advantages as we continue to redefine the real estate experience here in Metro Atlanta," said Dan Forsman, President and CEO of Berkshire Hathaway HomeServices Georgia Properties. "The International MLS gives us a robust multi-language search, currency translation and access to a global network for referrals." "Real estate is increasingly international, and this is certainly the case in Hawaii, a market that draws buyers and investors from Asia, North America, and around the world," says HIS President & CEO Faith Geronimo. "We're excited to make the IMLS available to our members as a way to reach beyond our shores, and to also demonstrate the value of the data syndication dashboard that we’ve built into our MLS, ultimately giving brokers control over where their listings are distributed"
"We are pleased to add The IMLS to our syndication offerings as a unique and exciting option for our Brokers who wish to market or search for listings Internationally,"
"The IMLS is a good and intelligent system that can promote each individual member of the MLS Israel to develop international business. The system enhances our possibility to do business all over the world since they already have more than 1,000,000 listings in 75 countries. This is a wonderful opportunity for participation with The IMLS for our members since the IMLS has an excellent vision for the 22nd century," said Yohanan Haas, head of the Israel RE Brokers Organization and owner of MLS Israel. "We are looking forward to having the ability for our agents to more effectively market their listings internationally," remarks BHHS Fox & Roach President Joan Docktor, "and to give consumers in the Philadelphia area access to listings from around the world." The exclusive partnership between HAR and IMLS is very important for HAR and the Greek real estate market, due to the number of potential investors and the promotion opportunities it presents for HAR members as well as agents in Greece having the ability to network with colleagues internationally. 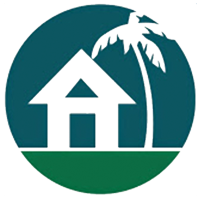 It is important to mention that HAR represents NAR, CEPI - CEI, MIAMI REALTORS® & ICREA, for which HAR is a founding member." "Encouraging to see the largest international listing source adding US MLS's - Hawaii is the first of many to come." Our Miami multi-national associates can speak their customers language well, with The IMLS 90 language translations and world wide reach. "The IMLS offers you exposure and the opportunity to compete in the global real estate arena. People prefer to work with an agent that can help market their property worldwide, and be able to assist them find their new place in a different country. Las Vegas is a world class international city, and I am very happy to be able to offer my clients the chance to expose their listings to the international buyers with the help of The IMLS. In my opinion, if you are not out there promoting your business in the international market, you are losing thousands of dollars and business." As a Realtor, The International MLS offers Realtors an opportunity to work with both buyers and other agents from all over the world, enabling Realtors to expand their reach and business opportunities far greater than any other program offered to agents and brokers before. As a builder, it is exciting to know that there is now an opportunity to reach agents and buyers directly from all over the world." "Not often enough does someone come up with an idea that unselfishly helps others with their business model. Daniel Nussbaum, founder of The IMLS, is just such a person. Realizing the potential of marketing Hawaii real estate at the international level, I worked diligently with The IMLS to bring this global portal and their innovative products to my fellow Hawaii Realtors. To Daniel...Mahalo nui! The IMLS believes that the listing is the property of that agent or broker. All leads for and agent's listing from www.theimls.com go to the listing agent or broker as directed by the firm. No leads are sold to anyone else or diverted elsewhere. The IMLS seeks fair play and will work to protect the MLS's and seek the MLS's participation. 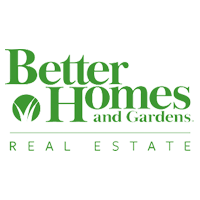 All listings must first be entered into the local MLS. Each MLS or broker will determine the amount of listing data and photos to display to be within the parameters of what The IMLS allows in their membership plan. 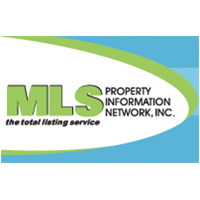 Every listing will have the agent name, brokerage name and phone number displayed on www.theimls.com when delivered at no extra charge. The IMLS will seek a standard feed spec for USA listings to simplify the industry. Brokerages will receive or be able to access complete reports on any traceable activities related to their listings when this becomes available. IMLS member searches will be treated in basic conformity to IDX rules where listing agent is displayed but no contact info. All leads from IMLS searches go to the search widget owner like they do off their own IDX. The IMLS seeks the voices and wisdom of the industry and is creating an advisory board made up of brokers and MLS representatives. 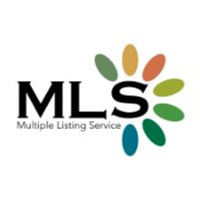 The IMLS will work hard to seek a quality delivery that fulfills the wishes of the real estate industry and protects agents, brokers, and MLS's. The IMLS will have representatives who ensure fair play and that data is all being treated correctly to deliver the highest quality product for the industry. The IMLS has created the new homes platform for agents to be in an unbranded solution so their customers cannot circumvent them and go directly to the builders. The IMLS Listens...And Says THANK YOU! The IMLS will always be listening to the voices of all those who make up the industry and we want to say thank you to all those who have contributed their time, effort and wisdom to The IMLS to help bring this forward now to agents and brokers around the world. We could not have done this without you! The IMLS will work hard to seek a quality delivery that fulfills the wishes of the real estate industry and protects agents, brokers, and MLS's. The IMLS will have representatives who ensure fair play and that data is all being treated correctly to deliver the highest quality product for the industry. Boca Raton, FL, October 12, 2017 --(PR.com)-- The International MLS [IMLS]® and FIABCI have announced today that it has signed a Global Partnership Agreement enabling IMLS to expand its global membership network through marketing tools provided by FIABCI. 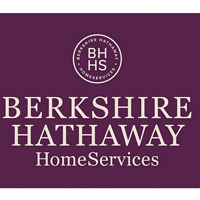 Boca Raton, FL, September 19, 2017 --(PR.com)-- The International MLS [IMLS]® announced today that the Berkshire Hathaway HomeServices Commercial Services technology platform known as Commercial REsource (powered by ORION) became the first CRE brokerage company to send commercial listings to The IMLS’s recently enhanced portal and agent platform. Boca Raton, FL, June 14, 2017 --(PR.com)-- The International MLS [IMLS]® announced today that CEO/Founder Dr. Daniel Nussbaum presented the new IMLS platform to the audience at the FIABCI World Congress meeting in Andorra on May 28, 2017. BOCA RATON, Fla. — The International MLS [IMLS]® announced today that George Betz has accepted a position on its honorary advisory board. "We are really proud to have George as part of The IMLS team now and to act as a liaison to the associations and members of FIABCI," said Dr. Daniel Nussbaum, CEO/Founder of IMLS. The International MLS [IMLS]® is dedicated to the inevitable globalization of the real estate world, bringing together agents, brokers, associations, MLS's, developers, buyers, and sellers. Whether we are a featured speaker, being presented by someone else in an organization because of language barriers, exhibiting at an expo or just attending an event, our commitment to bringing the world all together while protecting brokers, agents and associations, will not waver. The IMLS will always be listening to the voices of all those who make up the industry and we want to say thank you to all those who have contributed their time, effort and wisdom to The IMLS to help bring this forward now to agents and brokers around the world. We could not have done this without you! These conferences and expos are essential in the exchanging of ideas within the leaders of the industry to help seek a quality delivery that fulfills the wishes of the global real estate industry and protects agents, brokers, and MLS's. The IMLS will have representatives who ensure fair play and that data is all being treated correctly to deliver the highest quality product for the industry.